When the aviation industry was born a few decades ago, it was considered one of the most prestigious and glamorous industries to work. The pilots were proud to fly powerful machines at impressive heights of 30,000 feet while flight attendants took pleasure in serving passengers. Most of these practices remain the same today, except with the addition of larger and more efficient aircraft. The aerospace industry is a fast pace of life and a dream of many people. 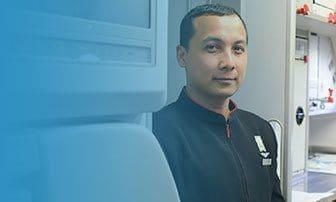 Whether you want to show off your insignia as a pilot, flight attendants and stewards or visiting new cities every day, you can achieve everything in the aviation industry. While most seek a stable career with stable work schedules and a steady stream of income, others aim higher! Regardless of which parts of the aviation industry you join, you will hardly work a shift. If you are looking for a sense of adventure? So the aeronautics industry will be perfect for you. By changing work schedules, visiting new places and meeting interesting people, you can be sure that your career will not just be an office job. Interestingly, this also means that your work schedules and vacation schedules are flexible. Taking advantage of holidays and working very hard on a stretch is part of the aviation industry, making it an impressive career. You will also quickly make friends with your crew members, who regularly change on each flight. If changes are your mottos, then the aviation is your life. The aeronautics industry is not just glamorous on the surface. It as well provides many advantages including impressive salary packages that increase over the years, and you will also enjoy other benefits like life insurance, annual increment, travel awards and paid vacation. 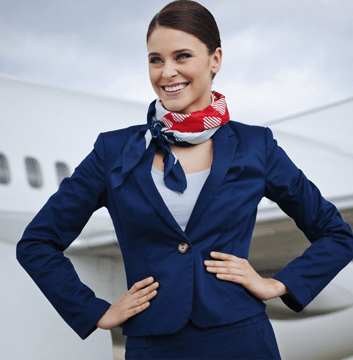 Many of the aviation companies offer these bonuses on certain prerequisites such as term work or contract completion. If you choose the airline which provides all these advantages, you can benefit from all this and more. Visit the world while working. Travelling the world is a dream for many people, but only few can accomplish it. Working in the aviation field makes you visiting the World while get paid for it. While working with an airline is an excellent opportunity to travel to many parts of the world without spending money on tickets. Some airlines also offer some holidays excursion for employees. If discovering the World is on your wish list, you should consider a career in airlines field to realise your dreams.. The pure pleasure to fly. The quiet roar of the powerful engines propellers and the sheer magnificence of an aircraft is an overwhelming sight. The desire to take off on a new journey and bring people into new cities are things that can only happen within the aviation industry. The pilots enjoyed the unbridled pleasure of handling machines worth several million and visiting the different corners of the world. INFOHAS is an expert institute in the fields of aviation and hospitality training which as well directly linked with the most prestigious airlines to the world of aviation, INFOHAS is a Moroccan company of confidence that offers its training and services in a Reliable and targeted manner.